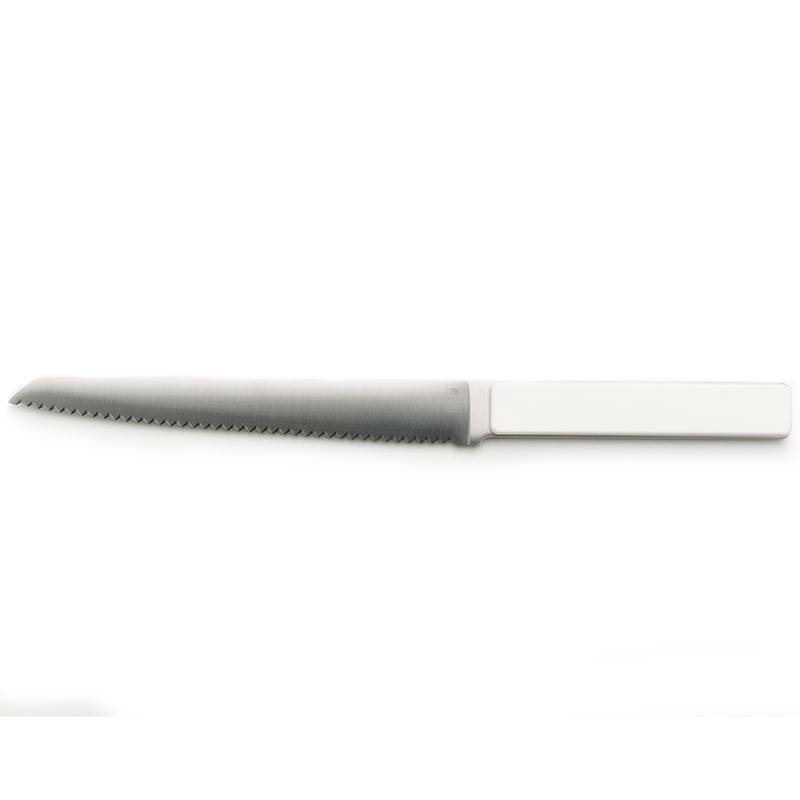 Made In France, this Hector bread knife is perfectly adapted to cut all sorts of bread. 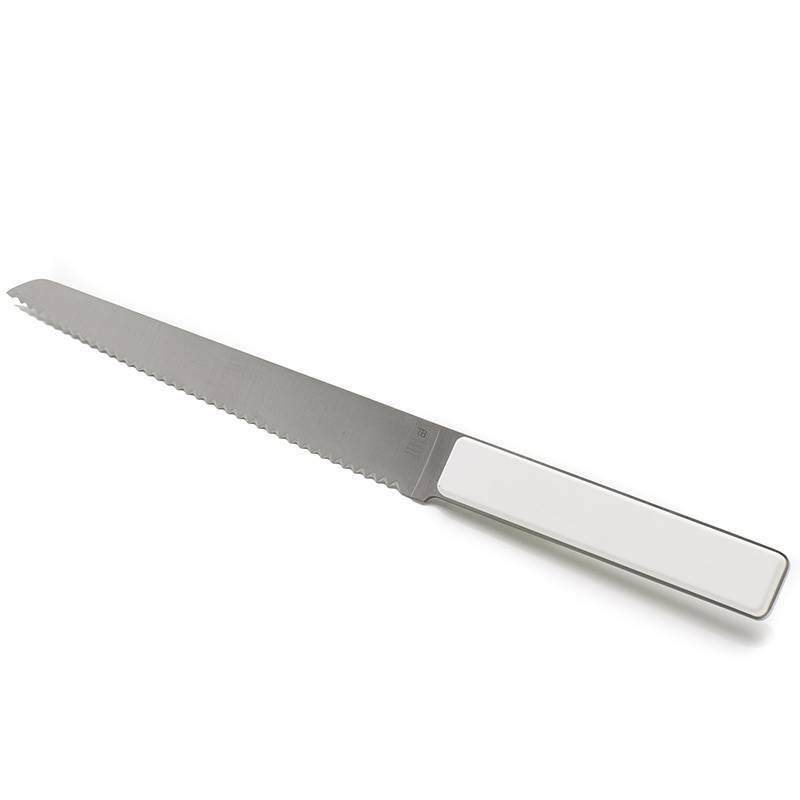 The very precise and sharpen edge enables the cut of the loaf into a neat slice rather than a squashed and torn piece of bread. 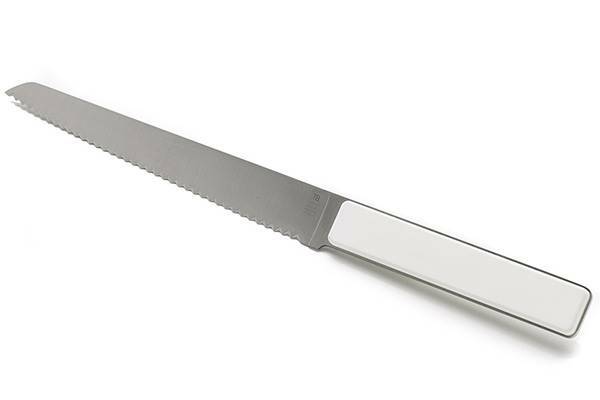 Its ice white ABS handle is very ergonomic for an easy and secure grip. 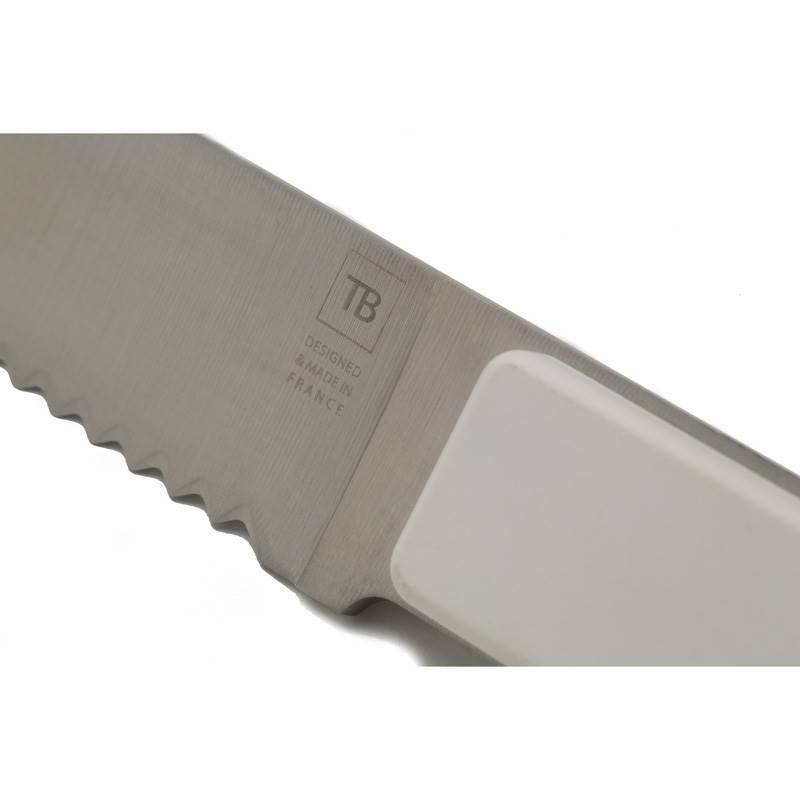 Manufactured in Thiers, in TB’s workshops, this bread knife is a pure product of Made In France cutlery. It benefits from the ancestral French know-how. It can also become unique as it is customisable by laser engraving.